On 4/28/2017 at approximately 7:50 a.m., Detectives from the Citrus Heights Police Department’s Special Investigations Unit served a marijuana cultivation search warrant in the 7300 block of Little Oaks Way in Citrus Heights. Upon entry into the residence, detectives discovered a sophisticated Butane Hash Oil (BHO) extraction laboratory. Due to the safety risks concerned with butane hash oil operations, detectives evacuated the location and summoned the Sacramento County Hazardous Materials team to assess the scene. When the location was deemed safe for entry, detectives seized thirty five gallons of commercial butane, a sophisticated butane hash oil extraction system, 161 marijuana plants, and approximately 3 ounces of hash oil from the laboratory. The California Multi-Jurisdictional Methamphetamine Enforcement Team (Cal-MMET) and High Intensity Drug Trafficking Area (HIDTA) team assisted with the investigation. During the course of the investigation, Detectives identified Charles Jamison (36 years old) as being actively involved in this BHO extraction laboratory. On 5/3/2017, Jamison was placed under arrest for manufacturing a controlled substance, cultivation of marijuana, possession of marijuana for sale, and maintaining a place for the unlawful purpose of selling, giving away or using controlled substances. 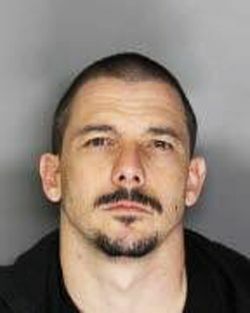 He was booked into Sacramento County Jail. The chemical process associated with BHO laboratories is extremely dangerous and has resulted in numerous injuries and deaths throughout the country. The growing trend for home grown “hash oil” laboratories is alarming. The Citrus Heights Police Department strongly cautions against individuals being anywhere near BHO laboratories, whether active or not, due to the high risk for injury or death. 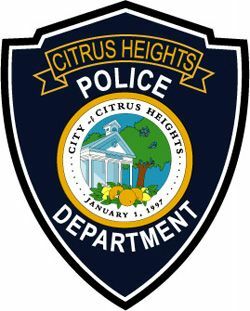 Citrus Heights Police would like to remind the community that the passage of California Proposition 64, which allows for the legal possession of specified amounts of marijuana for those over 21 years old, does not legalize the chemical solvent extraction process used to create hash/honey oil. The extreme danger involved to the neighboring residents of these laboratories have made their eradication a priority for law enforcement and the specialized HAZMAT teams trained to safely dispose of them in the State of California. If you become aware of a laboratory, please get yourself and others to a safe location and notify local law enforcement immediately.